Welcome to the Concordia Challenge 2019! 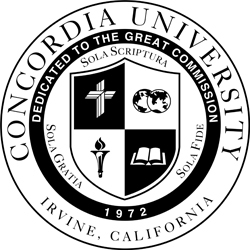 Held at the lovely Concordia University campus, located at 1530 Concordia West, in Irvine, Orange County, California. Prolific Parli Prix (P3) on Wednesday 6th at Biola University. Students are required to be Stoa members to register for this tournament. Use this link to register. The Stoa NITOC dress code will be enforced at the tournament. Dress code details can be found here. Please remember that competitors are not permitted to attend without adult supervision. If more than one family registers on the same computer, make sure the previous family has been logged off. When registering for the tournament, you must use exactly the same information you used when signing up for your Stoa membership. Please click on the "Student Registration" tab above and complete all necessary steps. To add students to a family registration, click ADD STUDENT. Check-In opens Thursday morning at 7:00 AM and is open until 9:30 AM at the Student Union Center patio on the Concordia Campus. For those students in Pattern B, there will be a second check-in time on Thursday from 3:00 PM to 3:30 PM. All script submissions will be done electronically at the Concordia Challenge. See "script submission" tab for details. All debaters need to be prepared to self-time their rounds. See "debate self-timing information" tab for details. There will be a judge orientation prior to each competition round. 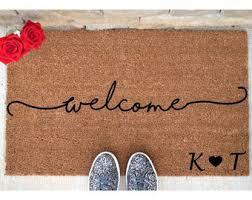 Parents, it is important to go through an orientation if you haven't attended one this year. Please try to attend one early on, especially if this is your students' first year of competition. Please plan to judge every other round to keep the tournament running on time. Stop by the ballot push table, located in the Student Union Center patio, an hour prior to the round to pick up a ballot. When you register for the tournament, it is with the understanding that you will be available to compete in finals on Saturday. This may be the tournament where you first break! 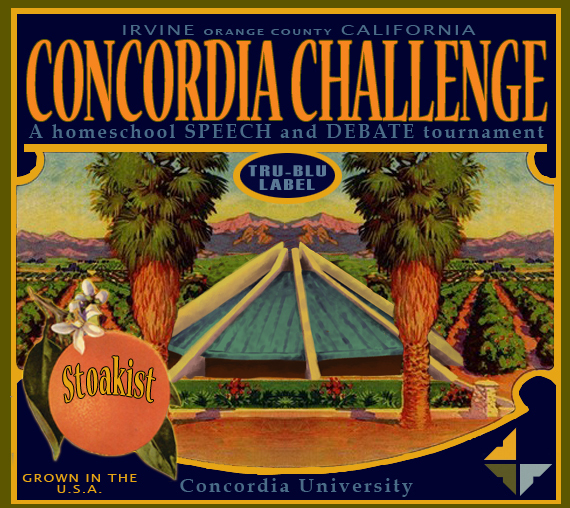 If you have any non-registration questions regarding the Concordia Challenge, please send them to drconcordiachallenge@gmail.com. We are here to serve you at this tournament!